Deep Rug & Carpet Cleaning Services Kearsley BL4 | Quality Property Care Ltd.
You can contact us at 020 3746 4287 where our team eagerly waits your call. Get in touch with our professional company and learn more about some other benefits of the service as well as how you can save money and time with Quality Property Care Ltd. commercial and domestic rug and carpet cleaning service in Kearsley BL4. Quality Property Care Ltd. offers deep rug cleaning to remove all residue, stains, dirt and allergens and to kill all the germs in your carpets and rugs. The professional rug and carpet cleaning is performed by: hoovering, followed by steam carpet cleaning and highly efficient hot water extraction which removes all excess water from the carpet or rug. For precious rugs or rugs which can't be cleaned with water, the firm offers rug cleaning and dry foam cleaning to safely remove the dirt and recover the beauty of your rugs. The expert services offered are appropriate for commercial and domestic properties as well. For more sensitive materials like silk and cotton we use a more gentle approach which does not rely on heat or moisture to remove a stain. Natural materials rarely react well to both moisture and heat so we are using a specialised dry compound which is in a granulated form. The same process of stain and carpet or rug prepping applies as was explained in the hot water extraction technique, allowing us to better remove the blemish. This time we pre-treat the stain with a special detergent, specially selected for the type of fiber we are cleaning. It’s applied and let to set into the stain. Once that is done we use the granulated detergent and spread it using a fine brush. This imbeds it into the fabric of the material forcing it into the spot. The dry ingredient is also let to set for 10 mins after which we extract it using a high powered vacuum machine, extracting 100% of the filth and detergent and filth. There is no trace left behind, leaving both your carpet and natural rugs fully spotless and cleaned. Steam carpet cleaning: hot water extraction technique with deep action. 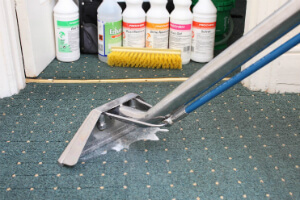 The procedure is suitable for old carpets and synthetic. 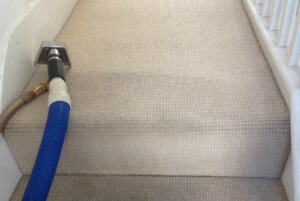 If you are in Kearsley BL4 or the area and you need professional commercial or residential carpet and rug cleaning, mattress cleaning, bed bug mattress treatment, curtain cleaning, blinds cleaning, drapery cleaning, or a combination of 2 or more of these services, all you have to do is call the customer care service at this number 020 3746 4287 or complete and send the online booking form, and you will have written confirmation via sms and e-mail as soon as possible! Same day booking is possible, as well as booking on bank holidays and weekends without any price raise. Book your professional rug and carpet cleaning service today!